IIoT, digital twins and manufacturing simulation all stand to help engineers accelerate the design process. Automotive manufacturers that currently operate at an average level of effectiveness could experience digitization benefits that would launch them into an industry leadership position, according to Capgemini. 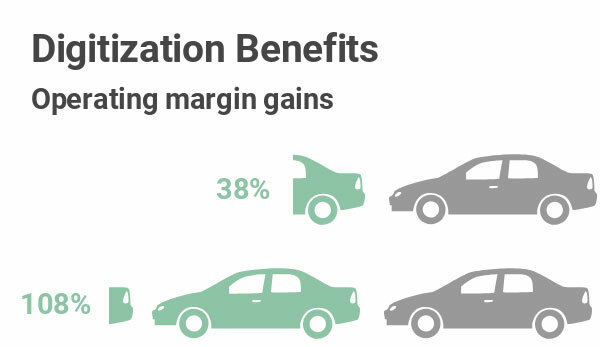 This gain in operating margin, ranging from 36% to 108%, is the combination of enhancements in productivity and efficiency along with a reduction in various costs. 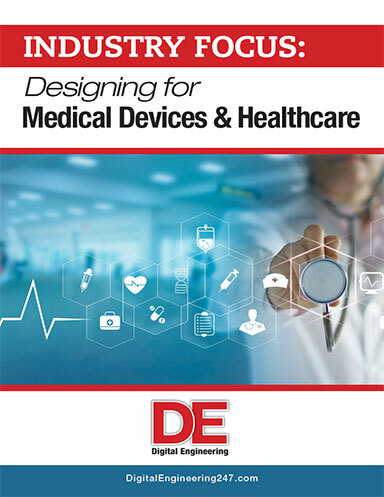 In today’s age of digitization, design engineering teams and their manufacturing counterparts are constantly working on new ways to improve processes and create products that consumers use on a daily basis. Though this mindset isn’t just happening in the design process; the emergence of smart manufacturing technology, sensors and the internet of things (IoT) are bringing new ways to prototype, test and iterate products. The goal of these technologies is to introduce a new level of human-machine interaction and allow for iterative design changes and optimization. It also gives engineers a way to work with real-time and real-world data, instead of drafting CAD models or manufacturing in a vacuum. These innovations give users more flexibility to make on-the-fly and late-stage design changes than more “data dark” options that require much more human intervention. The industry is using the industrial IoT and data collection to make manufacturing — and therefore product design — smarter. Three-fourths of manufacturers have a smart factory initiative that they are working on or formulating, according to Capgemini. By building the right foundation, companies can use data to meet regulatory requirements much more easily and respond to consumer demands at a moment’s notice. 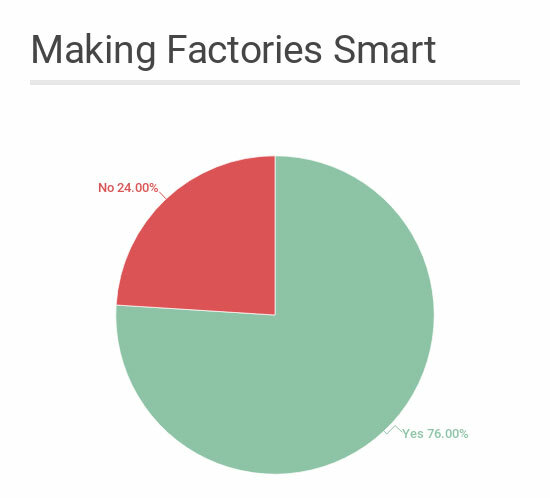 According to a report from Capgemini, 76% of manufacturers have a smart factory initiative that they are working on or formulating. Though smart manufacturing is still evolving; companies are implementing a variety of technologies across the supply chain, such as sensors, 3D printing, digital twins, artificial intelligence, cloud computing, analytics, automation and simulation. At its core, smart manufacturing is an environment that uses data collection and automation to improve equipment operations. While there are benefits on the shop floor and throughout many facets of the supply chain, smart manufacturing technologies bring greater transparency to product design. For design, a lot of the “smarts” happen off of the shop floor. With sensors, engineers can gather more testing and usage data than ever before. With this influx of information and digital twins, they are able to develop more dynamic prototypes that mimic how the consumer uses the product. It also serves as an impetus for engineers to collaborate on all necessary systems in a design, breaking down interoperability barriers and siloed workflows. By being able to work in a digital format, design engineering teams can reduce the amount of guesswork in the product design and iterate faster. The digital workflow is driven by the increased power provided by professional workstations, software that makes use of graphical processing units to speed parallel processing, and the ability to collaborate via mobile computing and software developed with sharing in mind. 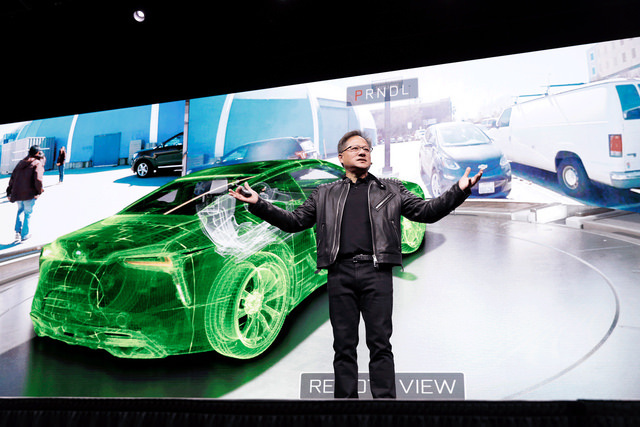 NVIDIA’s GPU Technology Conference (GTC) is a global conference series providing training, insights, and direct access to experts on the hottest topics in computing today. Registration is open for the 2019 conference, which takes place at the San Jose, CA, McEnery Convention Center March 17-21. 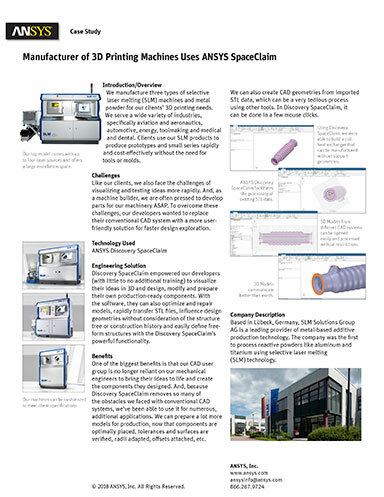 Additionally, having manufacturing data for specific machines at their fingertips allows engineers to see the manufacturability of the product and percentage of materials used, which helps them find ways to get to market faster. There’s always a better way to manufacture products; with digital tools, companies can test new manufacturing methods and techniques to home in on the best options. Beyond product development, new software and simulation tools can help organizations and line managers build a quicker, easier manufacturing processes. Through software-based testing, organizations can visualize how factory workers will interact with machines, figure out the best shop floor layout, and try different machine settings without actually running equipment. With software-based machines, managers can also use data to keep on top of maintenance and extend the equipment lifecycle. Overall, the use of data collection, automation software and smart hardware can help organizations create a feedback loop that can easily account for changes in design and manufacturing processes. With the right integration, not only can manufacturers respond in real time to malfunctions, design changes and run sizes, but engineers can also adapt to changing manufacturing needs. Bringing smart design and manufacturing principles to organizations opens up a world of possibilities, but organizations that don’t digitize will lose out on profits, product optimization insight and lower product defect rates. According to Capgemini’s analysis of a hypothetical average car and truck manufacturer with revenues of $1 billion and a 5% operating margin revealed that manufacturers that currently operate at an average level of effectiveness could experience digitization benefits that would launch them into an industry leadership position. This gain in operating margin–ranging from 36% to 108%–is the combination of enhancements in productivity and efficiency along with a reduction in various costs. This hypothetical scenario also makes the case for smart manufacturing as a revenue driver. With the ability to small manufacture, customized product versions and easily integrate consumer feedback, organizations can sell more tailored items to customers and diversify their portfolios. The application of smart manufacturing and digital design brings transparency to both engineers and shop floor managers. By being able to translate big data into smart data with sensors, software and digital designs, organizations can maximize their resources and easily adapt to changing market preferences. With the potential to add anywhere from $500 billion to $1.5 trillion to the economy in five years, according to Capgemini, and its ability to set more transparent and flexible design workflows, smart manufacturing is only making product design more efficient.